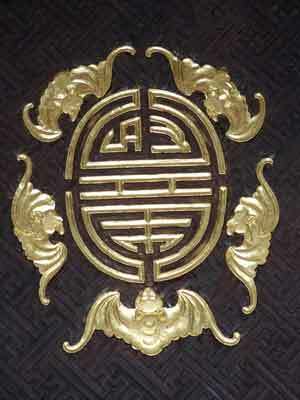 A bat (fu 蝠) is a visual pun or rebus for “good fortune” or happiness (fu 福) because both characters have exactly the same pronunciation. 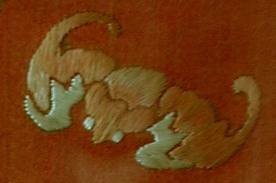 The “five bats” represent the “Five Blessings“, also known as the “Five Happinesses” or “Five Good Fortunes”. 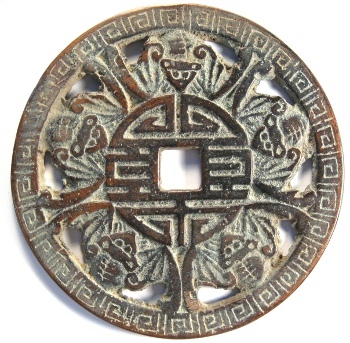 The “five blessings” are longevity (寿), wealth (富), health and composure (康宁), virtue (修好德), and the desire to die a natural death in old age (考 终命). 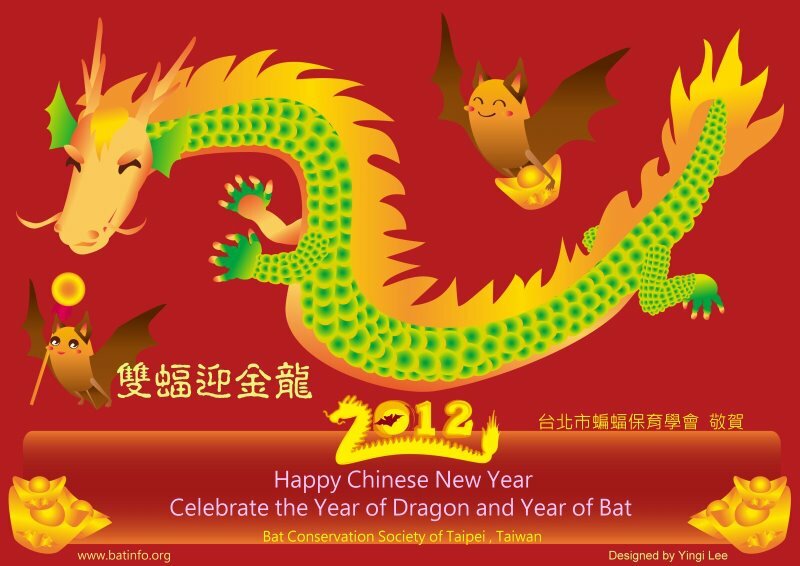 This entry was posted in Uncategorized and tagged chinese new year, year of the bat. Bookmark the permalink.